COULD WE CALL GROUP III BASE OILS SYNTHETICS? WAHT SHOULD BE THE LEVEL OF SYNTHETICS COMPONENTS IN FINISHED OIL, SO WE COULD CALL THEM PARTIAL SYNTHETICS AND FULL SYNTHETICS? Group 3 base oils are not synthetic oils.The advantages of the group 3 base oils are low sulphur content,high parafinic content and high viscosity index. Yes, we COULD call them synthetics. This is how they are marketed. Have the words "synthetic motor oil" been defined by any technical group yet? The courts ruled that Castrol could call its group III oils "synthetic", but really all they are is highly refined dino oil. That opened the flood gates for everybody to call them "synthetic". Sorry, but that's the dictionary definition. Based on that, and with some knowledge of general chemistry, even some Group II oils (isosyn based) substantially meet the definition of . . . synthetic. Please, let the great debate . . . END once and for all. Safest bet is to figure "synthetic" means Group III base oil unless told otherwise. I would think most companies that use PAO and ester base oil would be proclaiming that fact as a marketing edge over the others. So if they say it's proprietary information, read between the lines. Group III base oils are subjected to the highest refining levels and while they originate from crude oil, they are chemically rearranged to offer molecular uniformity and stability for very good performance in a wide range of lubricating properties. They are commonly marketed as synthetic or mixed with lower group base oils and marketed as semi-synthetic products. Group III base oil products are increasing in popularity. It's hard to tell what you're getting when you buy some oils. TallPall has it right, if the synthetic had more expensive ingredients, maybe GIV or GV, that would be on the label. Here is an example. PurePoer, a GII+ oil does not say synthetic but has a description that is pretty impressive, and it costs about the same as oils like Red Line, $7.95 a quart, in case lots. The following description is pretty impressive. For a price like that, what are you getting? The problem is that it might be worth the money. How would you know? ....should be PurePower, I can spell or type. The PDF file makes mention of the lower it costs to refine certain bases in turn happens to be some of the higher performance bases stocks . What counts is performance per $. In many instances group III can give the same performance for a lot less money. I think companies should disclose enough of their formulation for people to consider, and then look at the price and decide. The courts decided that group III is synthetic, and I've seen the tecnical arguments in a paper published by Chevron. I prefer to use the term "traditional synthetic" to distinguish in talks or papers. when comparing the products. Perhaps "PAO based" or "ester based" is better term? The wonderful world of philosophy. What is and what is not..
to qualify as a " pure/ full synthetic " motor oil the additive pak must be considered. does anyone know of a synthesized zinc, phosperous, boron, calcium, magnesium, etc? how effective would a plastic zinc compound be ??? all the additives used in a PCMO are MFG as in reacted so Id say they are synthetic BUT the dilute base oil used to dilute the additives for a blender to use are mostly GPI. That said most people do not or think or care about additive diluent oil. And I think the syn or dino applies to the "rest" of the base oil used. Problematic to group III's is that they are not all equal in performance . There is more than one type of that particular base oil group so to say . From 2005 a tidbit about a possible need for change on base oil interchange because of such . Hello, first try here. Valvoline calls some of their product premium conventional oil and that is what I would call a group 3 product base oil.True synthetic oils only have in them what the maker wants, with mineral oil they try to remove what they don't want in there and additize to correct what they can't remove. Moving from group 1 to 2 and 3 they get progressively cleaner and closer to only having what they want them to contain. Well jailed colonel, I like to think that I have Group III when I run Valvoline Premium Conventional, and maybe that is exactly what it is. Some have suggested that any oil meeting todays stringent standards pretty much has to be Group III, though some mixtures of Group IV or V with Groups I and II, II+ probably also meet the standards and may be just as good. I would think almost all dino SM is group 2 at best with some 2+, 3 and even umm piquito of 4 added in various amounts. All group 3 vs. say group2, the price will tell and pay for 3 you will and to much based on the real relative cost difference. Where I live(Europe), Group 3 is not considered to be a synthetic, and the main reason is because it isn't, and will never be. A mineral oil will always be mineral oil, no matter how much you refine it. You can claim that Group 3 outperforms PAO and Esther type oils, but what difference does it make? IT IS STILL A MINERAL OIL!! Calling Group 3 synthetic, is only bull****-bingo from some clever lawyers, that were able to make their companies more profitable. If I take a car and change the exhaust to a sports exhaust, it is now a "modified car". Its performance is enhanced through modification! The same with oil chemistry. You take a mineral oil molecule, take part of it off and add a different short molecule to give enhanced characteristics, you now have a "synthetic oil". It is that simple. The problems occur in the processing. All the old molecular segments need to be cleaned out. -various procedures are involved at differing costs. At the end of the day, a well refined mineral will do you more good than a cheaply refined synthetic, regardless of the grouping or the classification. Another problem: Modifying molecules is always a compromise. eg. PAO. Very slippery. Very little film strength, so will have very large amounts of friction modifiers to cope when metal to metal contact occurs. That is why you can run an engine with flat top tappets on a basic mineral oil(much higher film strength than PAO, but if you run this same engine on the "superior" PAO, it will destroy itself. It is all about horses for courses. Know your requirements. Get an oil to match those requirements. Food for thought: Why does the modern aircraft industry only use the most expensive oil commercially available, being, polyolester? Because in the long run it is the most economical way to operate. There are two types of processes that produce lubricant base stock, extractive and reactive. Crude oil is first distilled at atmospheric pressure into fractions of varying boiling ranges; these are mostly fuel components. What's left is distilled under vacuum, which is where the lubes come from. These fractions are then sent off for other extractive processes that remove wax, and other dissolved impurities. So far, all we've done is purify the various fractions. Every molecule in the tank is unchanged from what it was when it was pulled out of the ground. So far, it's all been just a high-tech sorting activity. You could make the case that once you apply a reactive process, the oil is synthetic to some degree. Even a technology as ancient as acid-treating would produce a 'synthetic' oil. Roger M - the reasons jet aircraft use polyol ester based lubes for the engine and phosphate esters for the hydraulics are fundamentally economic, but on a macro scale. They are not just considering operating and maintenance costs, but also the costs incurred when planes fall from the sky. If I use a cheap engine lube & my engine seizes up prematurely, I'll coast over to the shoulder and call AAA. The process is a little different in a 747. We must also be mindful of your 'horses for courses' analogy. A jet aircraft turbine is a much different animal than a reciprocating automotive engine. PAO-based oils are already overkill for the great majority of automotive applications. 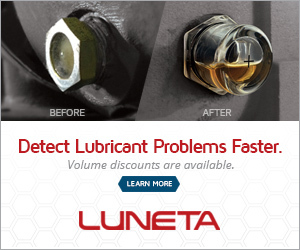 Even if a suitable polyol ester-based engine lube were available, I doubt it would have a favorable cost/benefit ratio when compared to modern conventional engine oils. While a jet aircraft turbine has a lot of problems to solve, piston ring blow-by is not one of them. Part of the job of automotive engine oil is to handle the crud that sneaks into the crackcase from the combustion chamber. Because of this blow-by, there is are limitations of how long you can extend the drain interval in this application. Definitely. Most of the conventional oils these days are pretty good. Redline is the only company using significant amounts of Poly ester base oils. A niche product. Polyester or polyol ester? There is a difference. I have a 4.2L turbo diesel Nissan Patrol. I change the engine oil every three years/100 000km. The last oil analysis after I changed out suggested I could keep it in. Looking at the figures, the pentane (soot) levels would have reached maximum in another 40-50 000km. I used the oil to top up one of my trucks. Because the oil doesn't sludge up like conventional oils, I have not changed my main filters (I have 2) but I do have a bypass filter that I changed 3 times. No build up could be detected. Oil analysis said there was nothing to detect. Wear levels at 100 000km were far less than what is produced with conventional oils at 5 000km (recommended service interval for a Patrol). My savings: 20 services = 40 filters and 20 x 11L =220L of engine oil and 220L of waste engine oil I did not need to dump. Vehicle is at 383 000km and still going strong. I am definitely keeping Poly-ol-ester in my engine. I also use it in my earthmoving machinery and truck. Most of the sludging that occurs is from the oil molecule breaking down into smaller chains. Many reasons for this that I won't go into here. One of the inherent weaknesses of mineral oil is it is easily broken down. Ie you don't need much of any contamination to start a reaction with the oil molecule. 99% of the advancement in oil technology in the past 50 years has been in the additives that try to control this and stop it happening. That is where the poly-ol-ester has a very significant advantage. At the temperatures seen in conventional engines, it is nearly bulletproof. Its operational temperature ceiling is nearly double that of mineral oils. If it is not breaking apart, then it is going to be doing its job of lubricating, not generating sludge. Combustion gases are not the main source of acid buildup. They are not highly acidic in themselves. There are various causes in a normal engine, and their accumulated presence will cause your problems in a a parabolic way. One of the major causes of acid production within the crankcase is in the presence of moisture, both as a combustion byproduct and as sourced from atmospheric water vapour when the engine cools down after it is turned off. Water chemically attacks mineral oil and its derivative oils, breaking them into smaller chains which are more easily used in acid production. The acids then act in a more aggressive way towards the remaining oil molecules. Obviously base packages are designed to slow this process down as best as is possible. I run Redline 15W40 and a hydrophyllic bypass filter. At 103 000km, TBN was almost unmoved, indicating that the base additive had not been consumed. It is interesting that even a mineral oil used with a hydrophyllic filter will get greatly extended service life out of the oil. Because poly-ol-ester is highly resistant to water the whole acid issue is highly reduced. As a case in point, during my 100 000km, I picked up fuel which contained a fair amount of water. I hadn't drained my fuel/water separator in years and then in the space of several weeks I had to drain it several times. This showed up in the oil analysis at that time as a very high amount of water in the oil, and a highly increased viscosity (But not over the 22.5 mark). I then changed my bypass filter. In the subsequent analysis results, viscosity returned to normal trend levels. At 103 000km viscosity was at 19.2 centistrokes (at 40 degrees Celsius). In my case, it would have been the level of pentane solids (soot) that would have required me to change it. The chemists suggest a basic rule of thumb of 50% increase in viscosity(at 40 deg). In mineral oils, it is the other factors that come into play long, long before soot (from combustion gases) is even looked at. If your oil is not breaking down in acid production, it will be able to do its job of lubricating. Poly-ol-ester is highly water resistant. It is also highly bio-degradeable. Apparently soil borne bacteria find it pleasant to their palate. This is about where I left off 11 years ago. Since then, group 2 and 3 world production has increased dramatically. Since then, the acceptance of light weight engine oils have followed in step. Somewhere I read in the above thread, that in the last 10 years, most of the R+D has gone into additive tech for the low viscosity group 3s. I read somewhere else that there could be an oversupply of group 3 base stock on the spot market. If any of the above is true, then the price of the light weight "synthetic" automotive engine oils should drop in the near future. Would someone please tell me if anything I just posted is true or not. I'm 10 years behind the times, and have catching up to do. Towards the end of the 1990s I realized from the engines at work how improved the oils were. GPII, GPIII oils are all that are needed for most .